MoForte, Inc. was incorporated in June of 2012. MoForte’s Founders are experts in the domain of audio digital signal processing (DSP) each contributing inventions and knowledge to the field. All three founders were members of Stanford University’s Sondius team that was formed in the early 90s to create intellectual property around audio DSP inventions. MoForte’s founders were also founders of Staccato Systems, a spin-out from Stanford that was successfully sold to Analog Devices in 2001. For an introduction about moForte click here. has worked for a number of Silicon Valley High Tech Companies. He has held lead engineering positions at National Semiconductor, Teradyne, Apple and Sun. He has spent the past 23 years working in Digital Media. He was an Audio DSP researcher at Stanford University’s Center for Computer Research in Music and Acoustics (CCRMA). He co-founded and was the VP of engineering for Staccato Systems, a successful spinout of Stanford/CCRMA that was sold to Analog Devices in 2001. 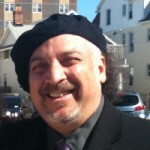 He has held VP positions at TuneTo.com, Jarrah Systems and Liquid Digital Media. He most recently ran Liquid Digital Media, which developed and operated all online digital music e-commerce properties for Walmart. He holds a BSc in Physics from Cal Poly San Luis Obispo and is currently a visiting scholar at CCRMA, Stanford University. teaches a music signal-processing course sequence and supervises related research at the Center for Computer Research in Music and Acoustics (CCRMA). He is formally a professor of music and (by courtesy) electrical engineering at Stanford University. In 1975, he received his BS/EE degree from Rice University, where he got a solid grounding in the field of digital signal processing and modeling for control. 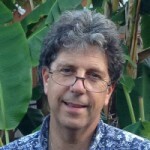 In 1983, he received the PhD/EE degree from Stanford University, specializing in techniques for digital filter design and system identification, with application to violin modeling. His work history includes the Signal Processing Department at Electromagnetic Systems Laboratories, Inc., working on systems for digital communications, the Adaptive Systems Department at Systems Control Technology, Inc., working on research problems in adaptive filtering and spectral estimation, and NeXT Computer, Inc., where he was responsible for sound, music, and signal processing software for the NeXT computer workstation. In addition, he was a founding consultant for Staccato Systems, Inc., and Shazam Entertainment Ltd., where he co-developed the core technology. 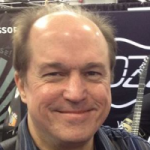 Prof. Smith is a Fellow of the Audio Engineering Society and the Acoustical Society of America. He is the author of four online books and numerous research publications in his field.